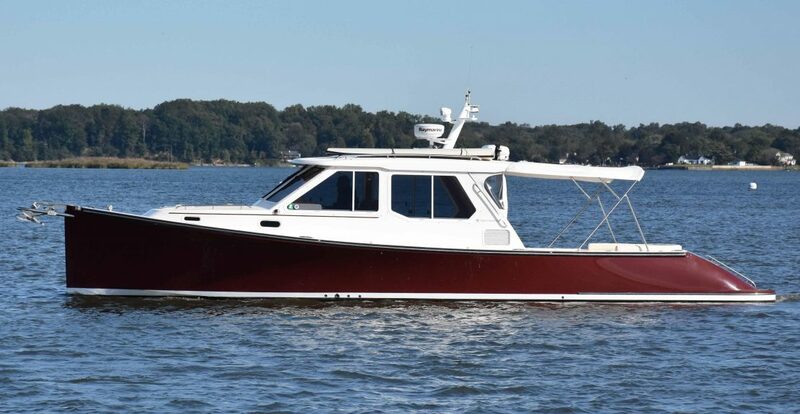 An elegant Pearson True North 38 in great shape and ready to create new memories out on the water! 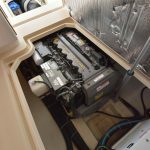 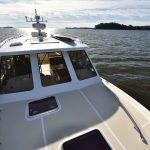 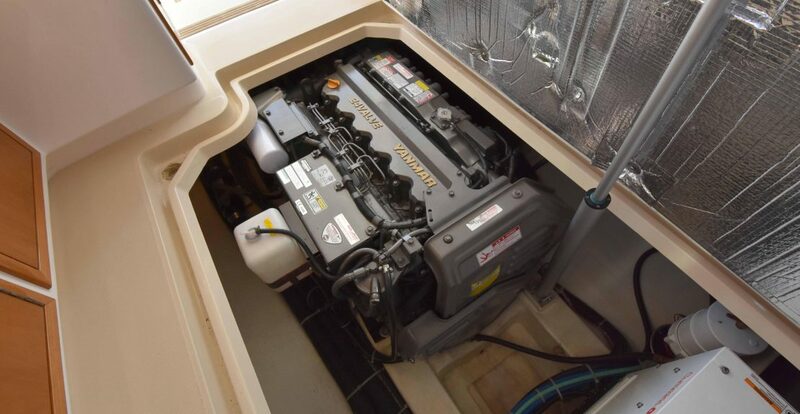 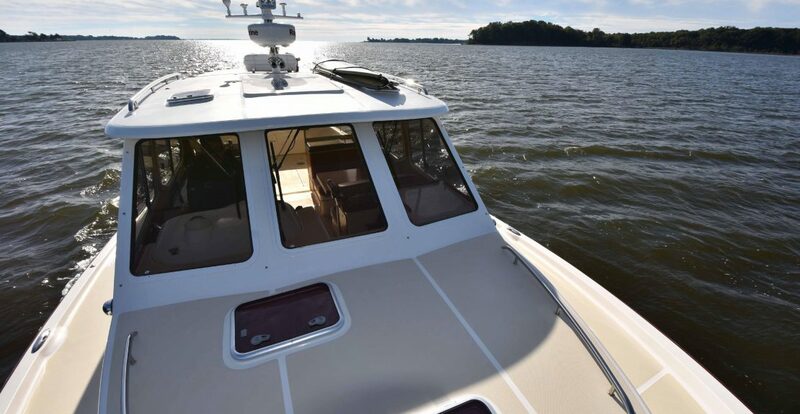 Sporting a 480 horsepower Yanmar inboard engine with an Aqua-Drive thrust-bearing system, this True North can reach a high cruise of 21 knots. 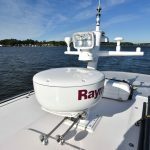 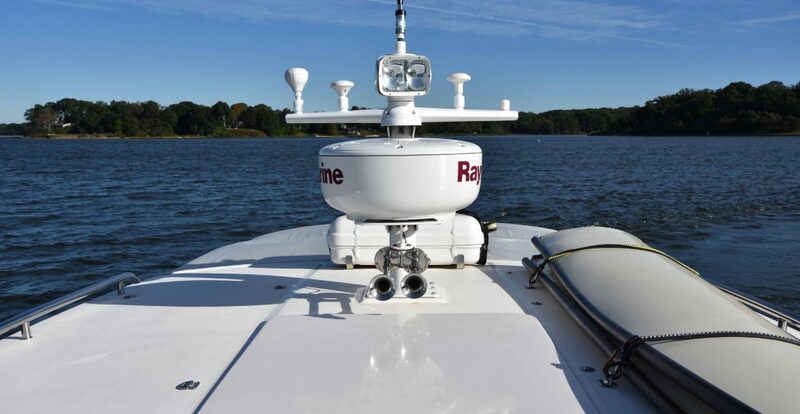 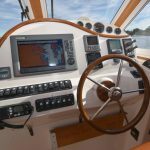 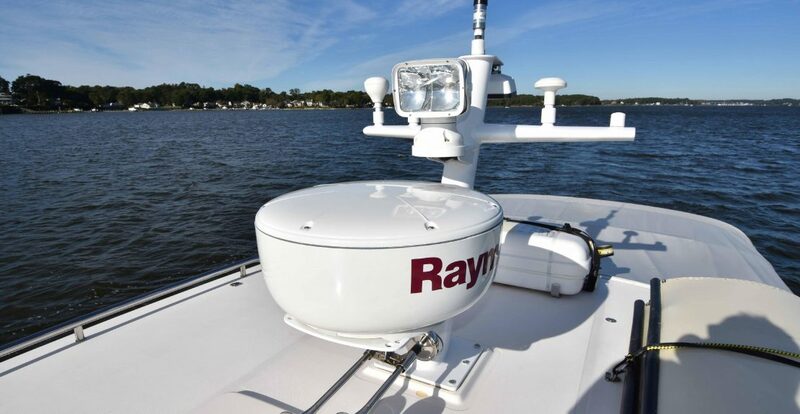 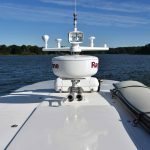 At the helm, you will find an array of Raymarine electronics along with Sidepower bow and stern thrusters. 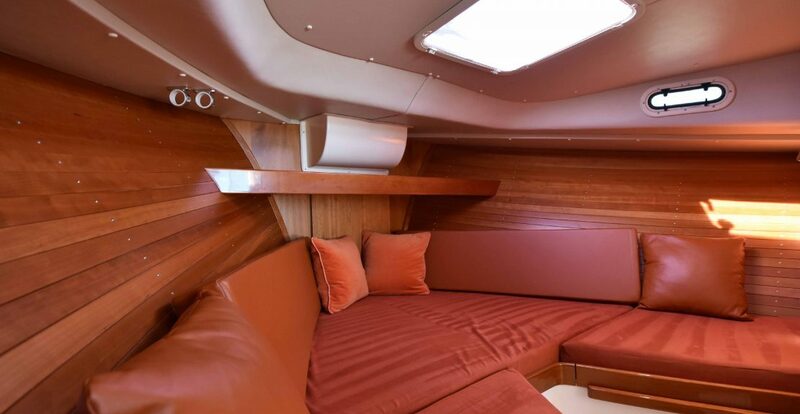 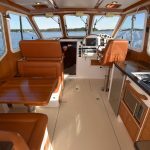 With an open salon and galley, a capacious covered cockpit, and plenty of seating—entertaining guest is an effortless endeavor. 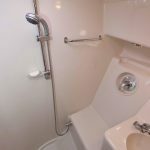 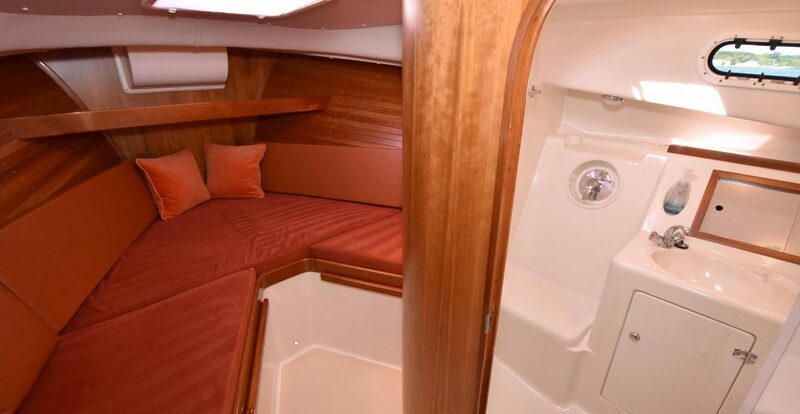 Down below the accommodations consists of a wet head and stateroom with a spacious V-berth arrangement. 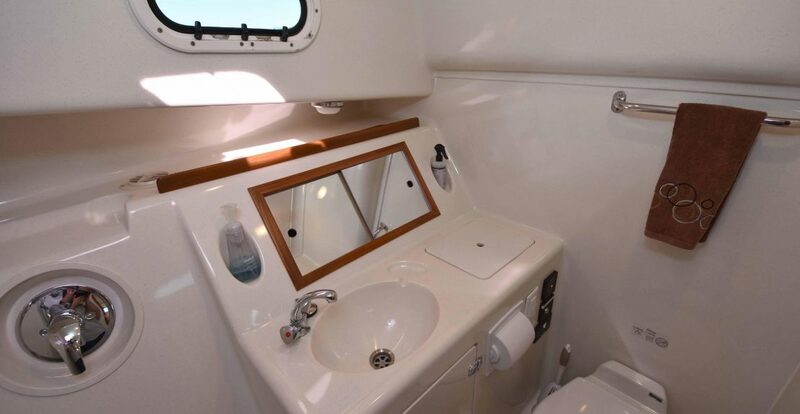 Stepping forward from the cockpit, through the aft enclosure, will bring you to the capacious salon. 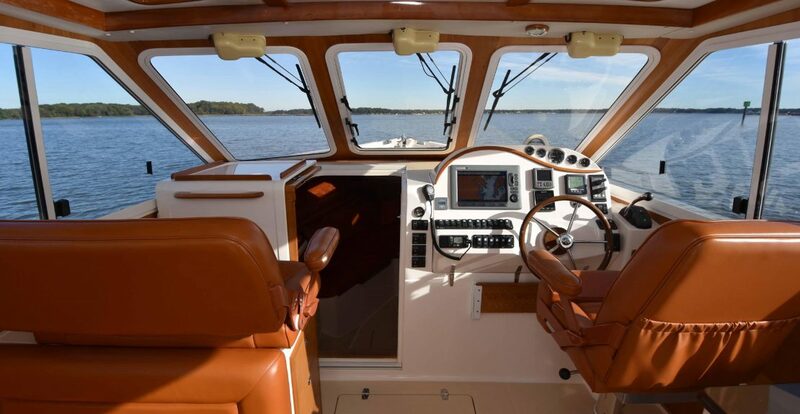 With its balanced layout, comfort and convivence while underway is assured. 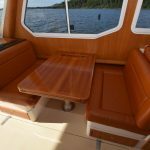 To port is a dinette which is capable of expanding for additional space with a fold out table leaf and slide out settees. 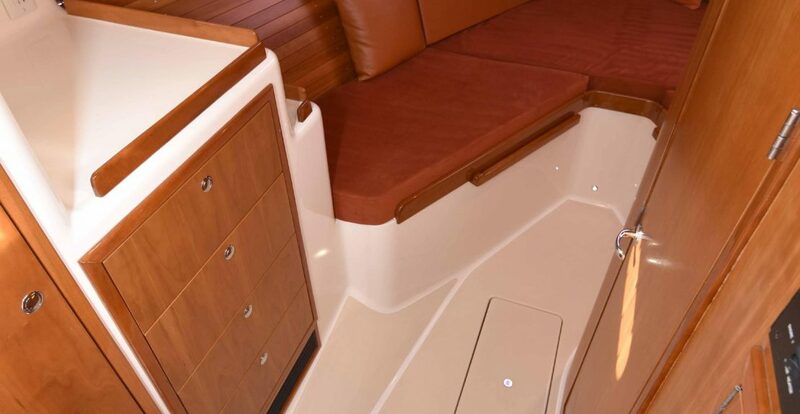 With additional onboard guests overnight, the slide out settee expansions can provide berths in a pinch. 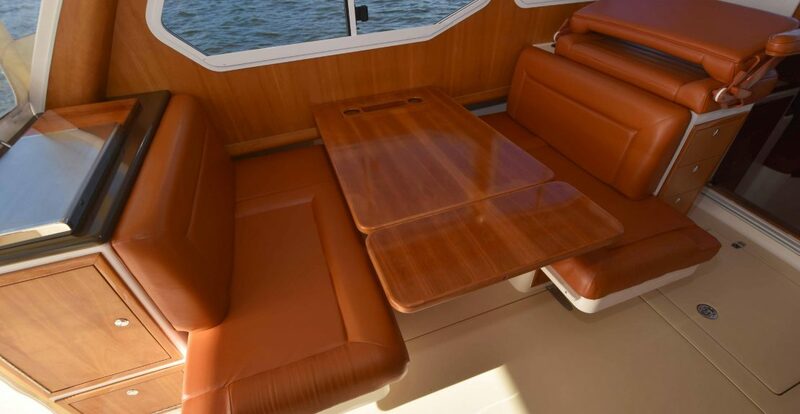 The dinette’s table height can be easily adjusted with its hydraulic lift. 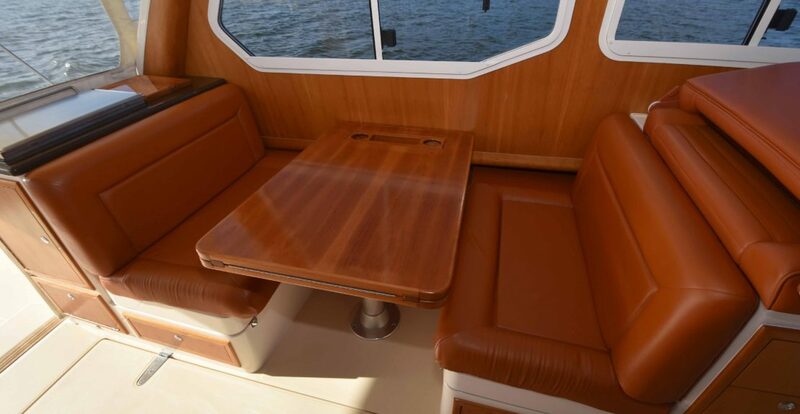 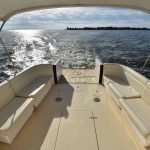 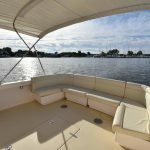 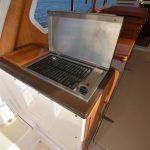 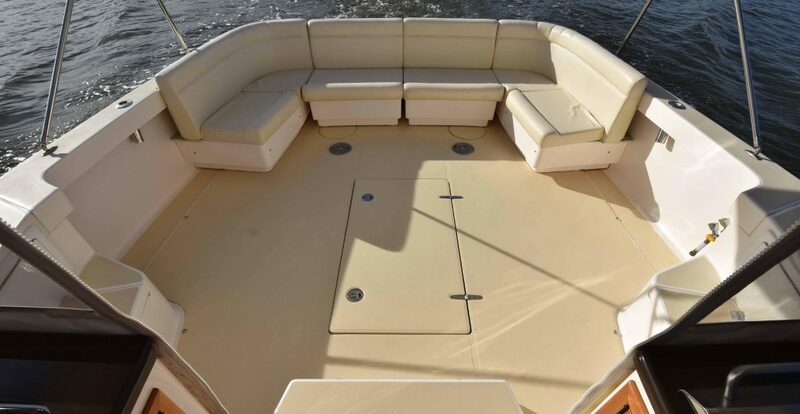 Forward of the dinette to port is a raised bench seat that gives excellent visibility while underway. 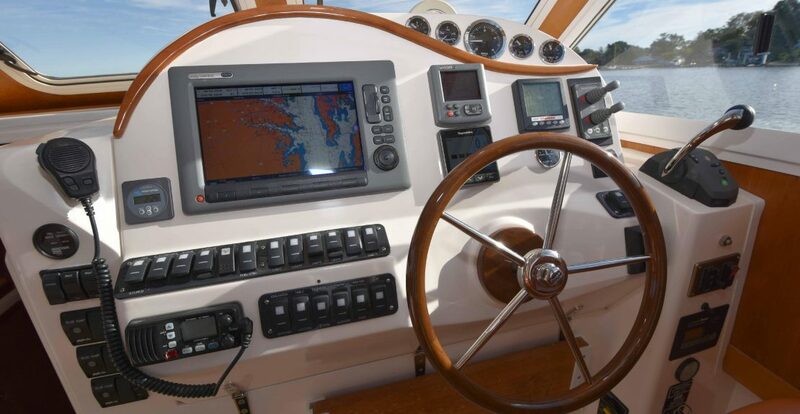 A chart area is forward of the bench seat, just below the windshield. 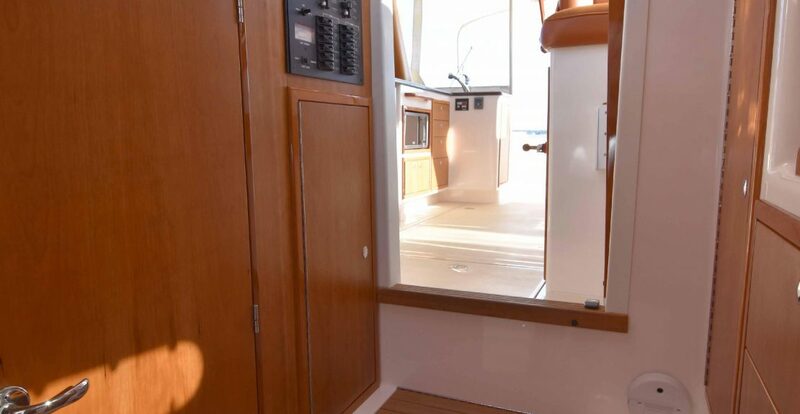 The access to the accommodations is to forward-center of the salon and across to the forward-starboard corner resides the helm console. 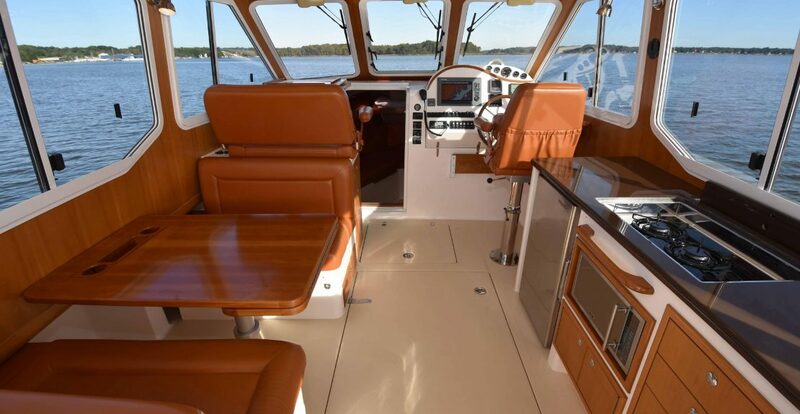 Moving along the starboard side, aft of the helm chair, you will find the galley. 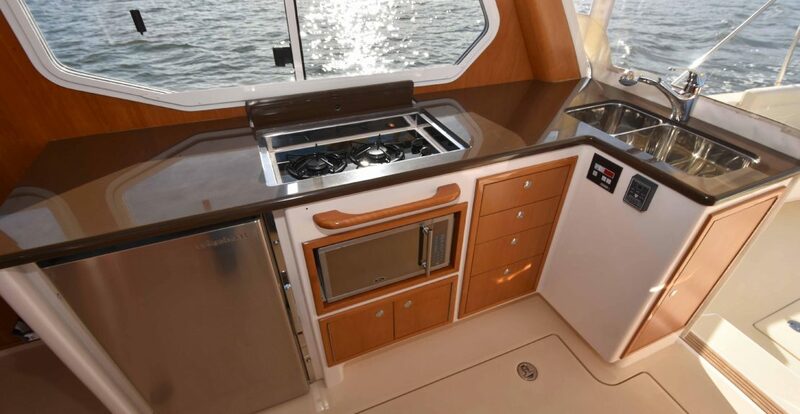 Right in the heart of the action within the salon, the galley makes entertaining guests an effortless task. 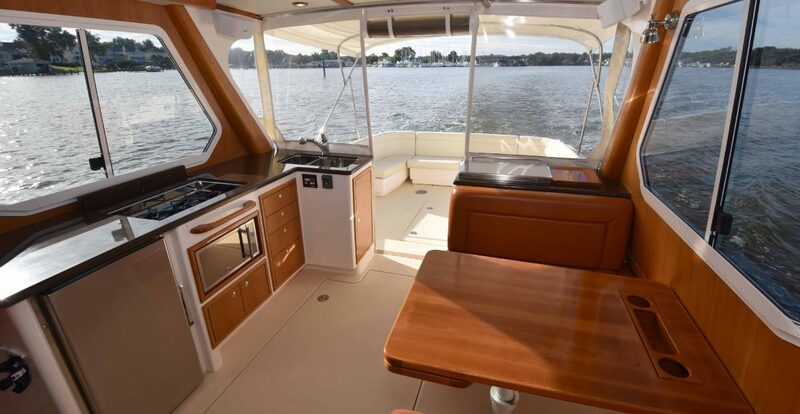 Perfectly equipped with a Frigoboat refrigerator, Oster microwave, Princess 2-burner cooktop, spacious countertops, bountiful storage drawers, and a stainless steel double-bowl sink with Grohe faucet. 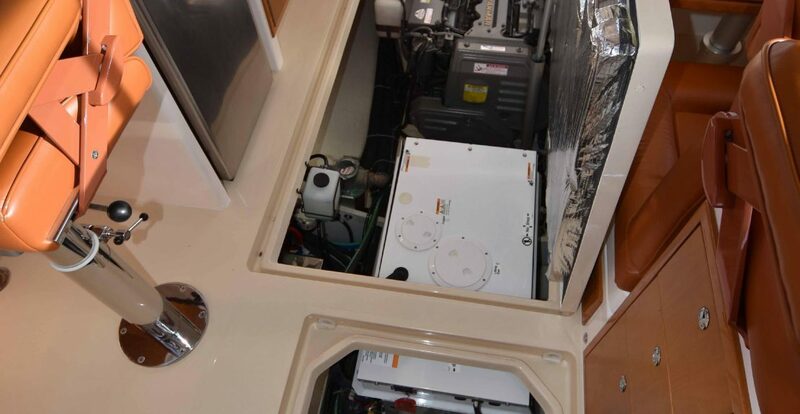 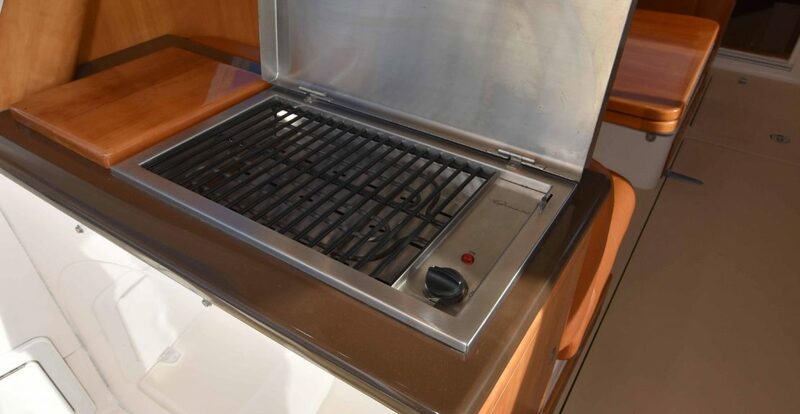 An electric grill is also featured on board, this can be found to aft-port of the salon, just within the aft enclosure which can be lifted up to fully access the grill. 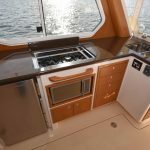 For both the galley cooktop and grill, natural ventilation is provided by the open aft of the salon and openable windows to each side. 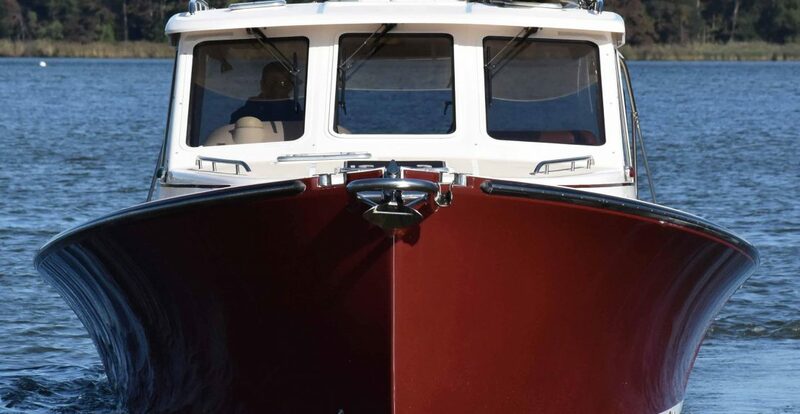 The Pearson True North is built from the keel up with precision, experience, and an extreme level of detail. 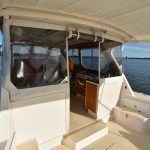 Utilizing vinylester resin, stitched glass fabrics, and end grain balsa core, this vessel is built for long-term structural integrity. 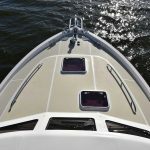 This hull design delivers a soft, stable ride with excellent tracking and a naturally low riding bow angle at any speed so your visibility from the helm is excellent even while moving slower. 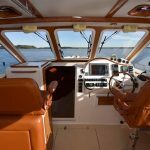 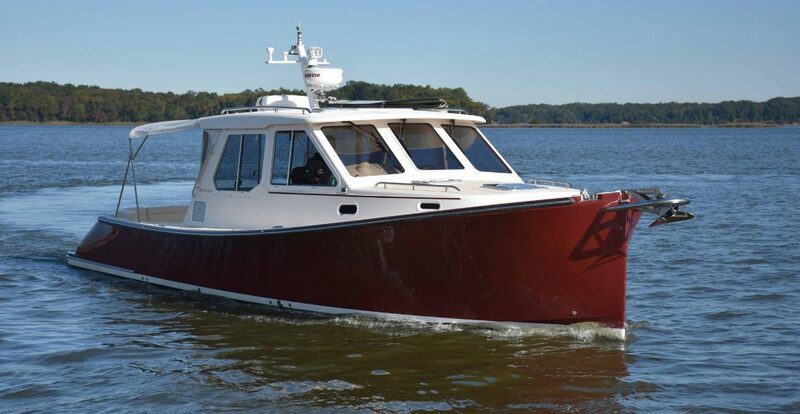 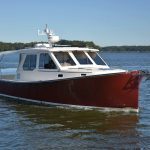 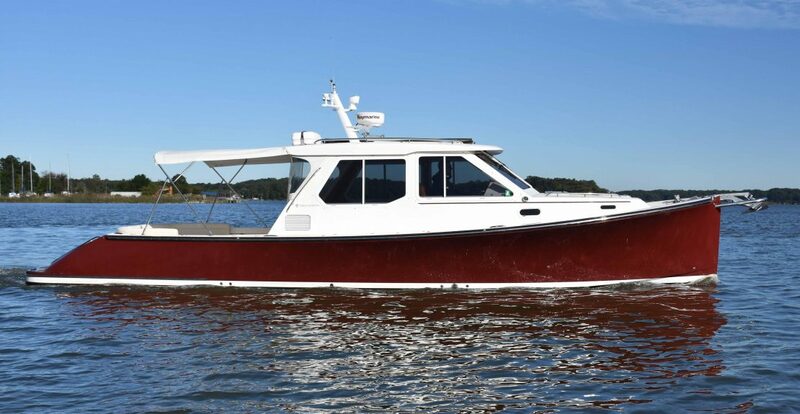 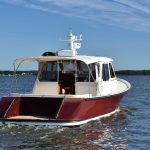 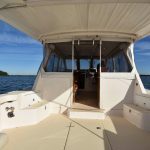 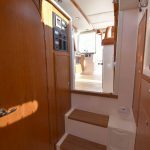 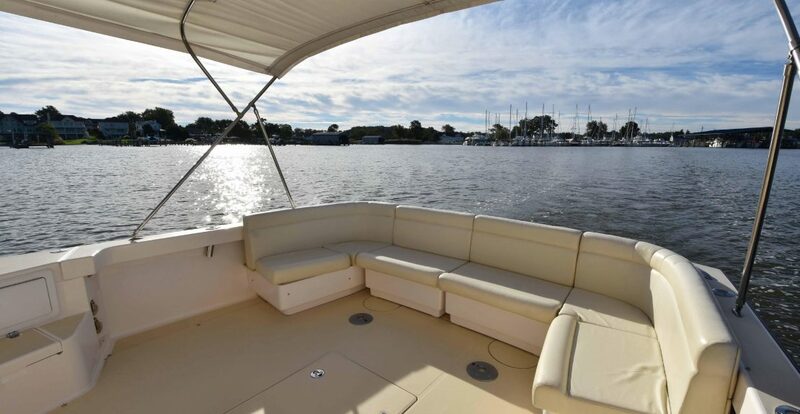 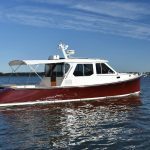 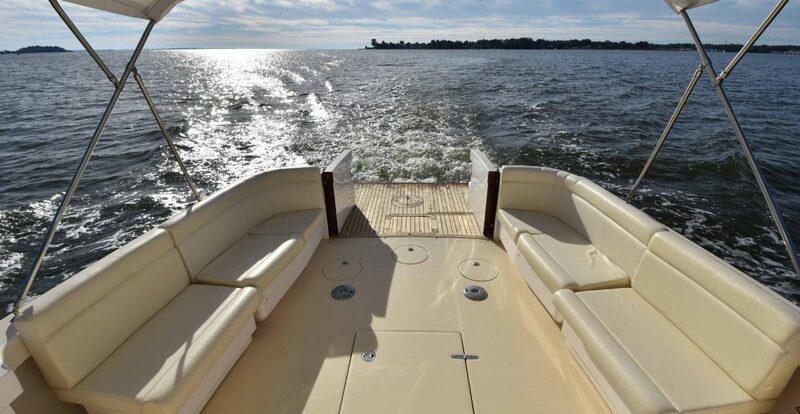 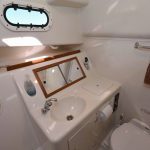 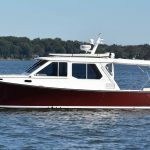 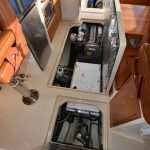 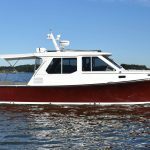 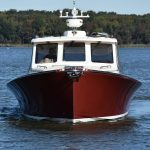 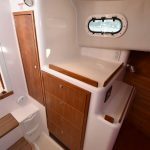 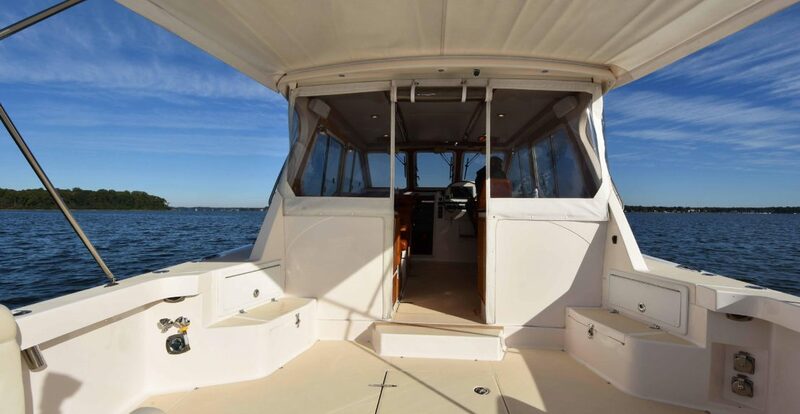 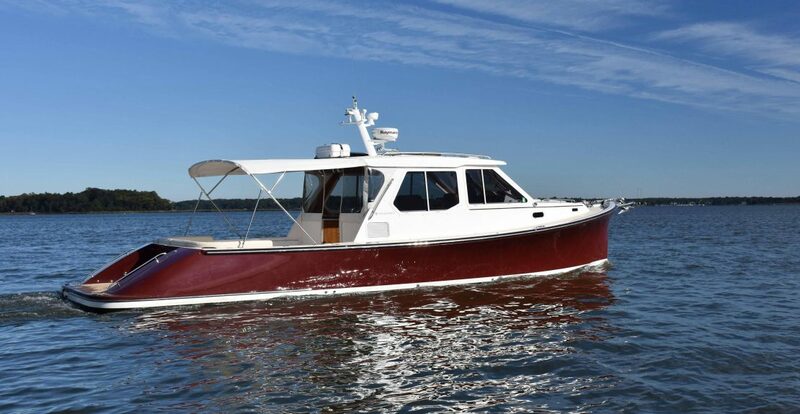 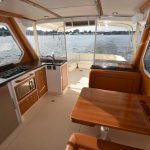 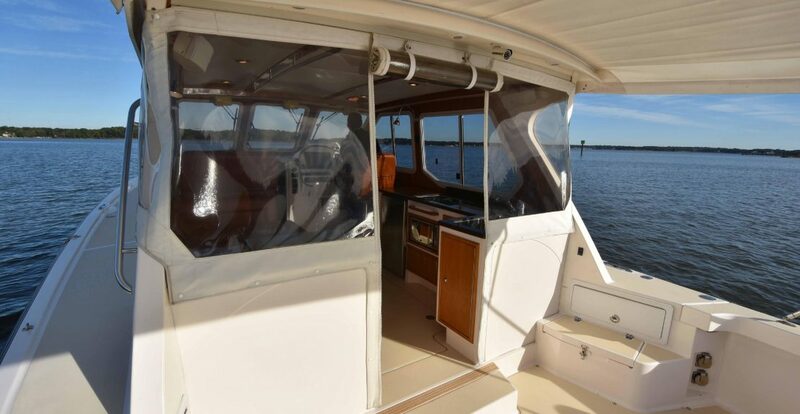 Ideally suited for a cruising couple, the large pilothouse, galley up arrangement, and extra large cockpit with double opening transom doors provides the perfect boat for fun on the water. 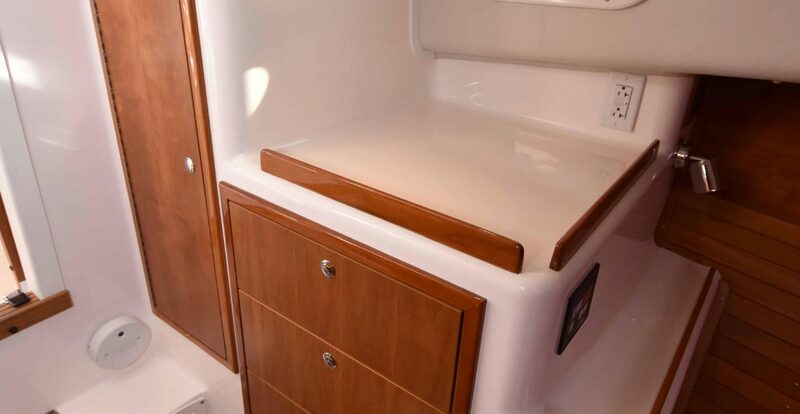 These cockpit reverse transom doors open up to the extended hull transom which is great for boarding and adds to running length. 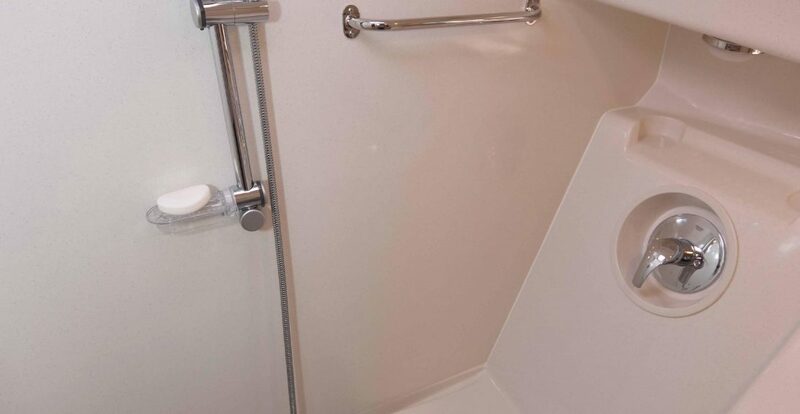 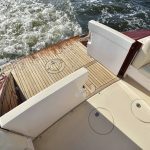 A telescoping swim ladder can extend out from the transom extension. 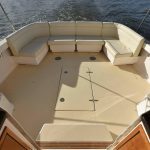 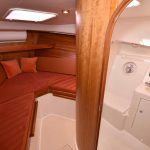 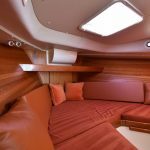 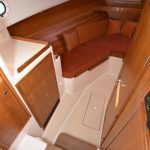 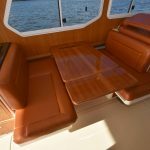 Cockpit seating with Ultraleather cushions can be customized and moved around to create opposing side benches or a full transom wrap-around. 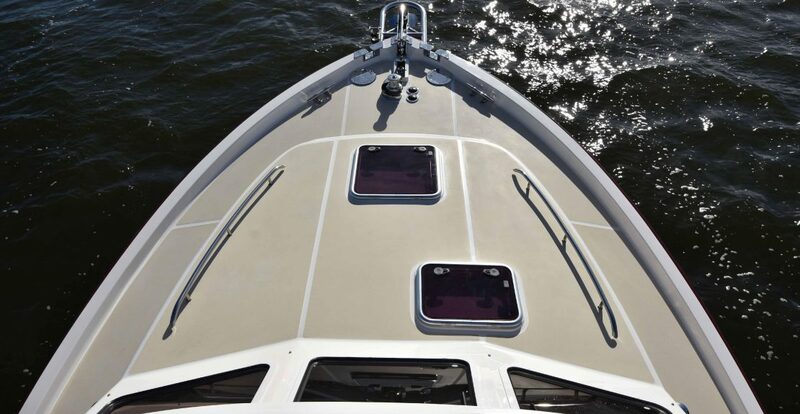 Overhead a white Sunbrella awning provides shade for the cockpit area. 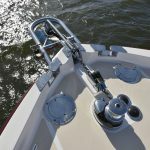 Moving forward, wide side decks and stainless steel grab rails make for safe movement around the boat. 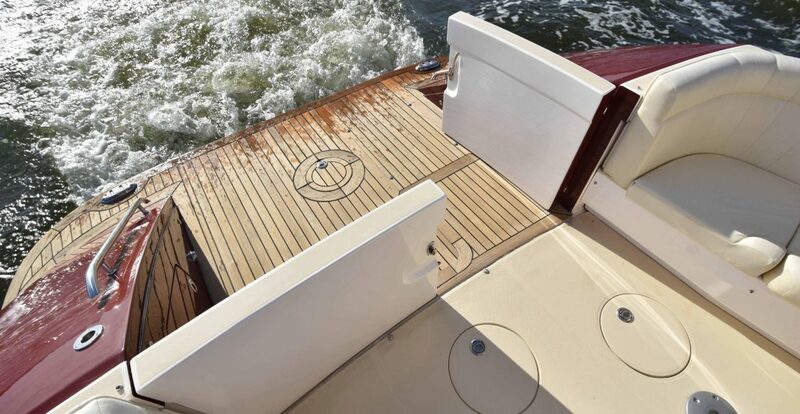 The non-skid foredeck features a Muir windlass at the bow. 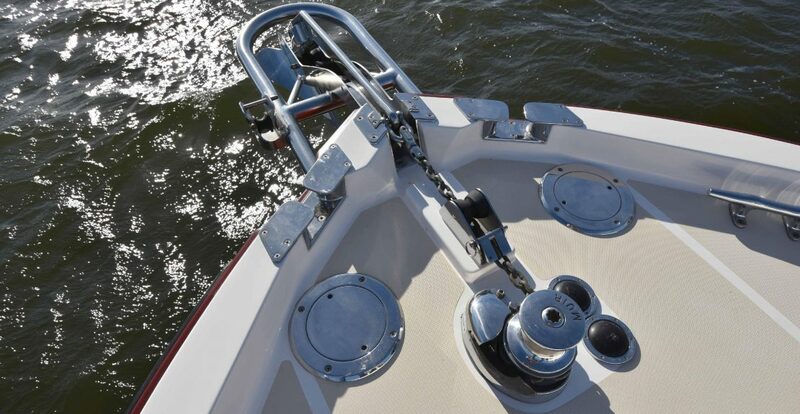 The custom stainless steel roller holds the 45 lb CQR anchor. 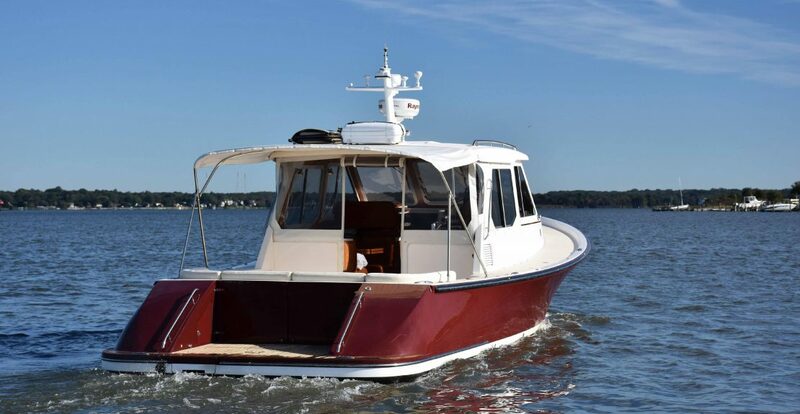 On top you will find the mast with navigation instrumentation, horn trumpets, porta-bote foldable tender, and 6-man life raft.